As soon as the words were out of his mouth, Bryan regretted them. He’d spoken the truth, but it had sounded far too close to an invitation. He couldn’t be certain from her expression if Kiera had heard it that way, but he knew absolutely that the provocative image of her in his room, in his bed, wouldn’t be going away anytime soon. It shocked him just how powerful that image was. “I’ve already ordered a cappuccino,” she said, her lips twitching as she tried to hold back a smile. “Sure thing,” the waitress said, leaving them alone. “Nowhere worth following,” he assured her, then focused his attention on the boats chugging along on the bay in the morning sunlight. It was a tranquil picture, far more tranquil than his oddly chaotic thoughts. It had suddenly occurred to him that he was actually on something that some people would consider a date. When he’d issued the impulsive invitation, he’d given it no thought beyond the momentary desire to have Kiera’s company for a little longer before their day started at the pub. They seemed to do better with each other away from that atmosphere. Now he was realizing it was a step, albeit a tiny one, toward a more complicated relationship, something he’d successfully avoided for years. “That was at the pub. This is entirely different. Can’t you see that?” Even as he spoke he knew that he was making way too much of an innocent hour at a sidewalk café. 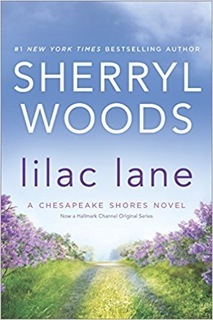 With her roots firmly planted in the South, Sherryl Woods has written many of her more than 100 books in that distinctive setting, whether in her home state of Virginia, her adopted state, Florida, or her much-adored South Carolina. 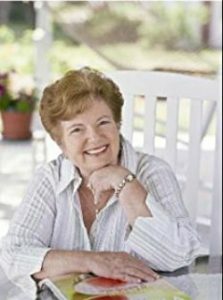 Sherryl is best known for her ability to creating endearing small town communities and families.